On February 23, 2019, Vietnam Japan University (VJU) organized VJU OPEN CAMPUS at My Dinh campus of VJU. This is an annual program for potential students, parents and people who are interested in experiencing the actual learning and research environment at the school, better understanding the career opportunities when studying masters’ programs. Time: 8:30 - 13:30, Saturday, February 23, 2019. 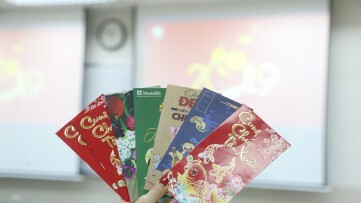 Find out details about upcoming activities at Open Campus here. 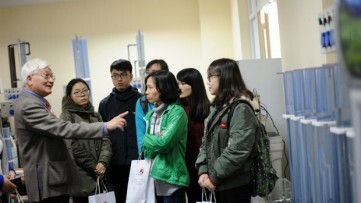 Established with the goal of becoming a leading research university in Asia, symbolizing the "deep strategic partnership for peace and prosperity in Asia" between Vietnam and Japan, Vietnam Japan University has officially operated training and research activities with 6 masters programs: Nanotechnology, Environmental Engineering, Infrastructure Engineering, Public Policy, Business Administration, Area Studies. In 2018, VJU continues to open the 7th master's program: Climate Change and Development and from 2019, the 8th Master’s Program in Global Leadership will be established. With the mission of becoming an excellent university of both countries Vietnam and Japan, VJU receives strong support from the governments, university, businesses and organizations of Vietnam and Japan. After nearly 3 years of operation, VJU has initially demonstrated its position as one of the excellent academic environments, where learners and teachers, researchers are created the best conditions to promote, develop students’ capacity. Each master's program at VJU is built and operated under co-ordination mechanism in close cooperation with prestigious universities from Japan (University of Tokyo, Osaka University, University of Tsukuba, Yokohama University, Ritsumeikan University, Waseda University, Ibaraki University,...). A minimum of 50% of the modules in the University's training program are in charge by professors from Japanese partner universities. At VJU Open Campus, potential learners, parents and interested people will be able to meet and exchange directly with school leaders, lecturers from master's programs and especially Government representatives. 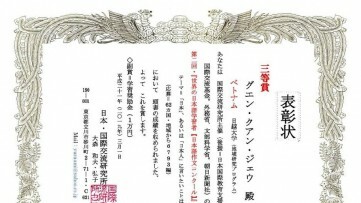 Japan (Japanese Embassy, ​​Japan International Cooperation Agency) and Japanese partner universities. 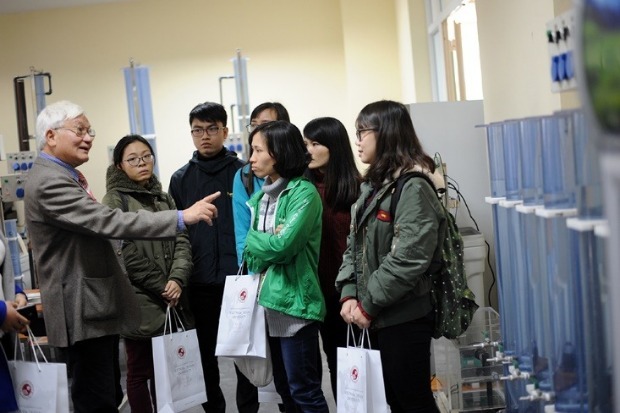 Participants also experience directly in classrooms, visit laboratories, learn about research topics and projects conducted by professors and students of VJU, to gain a deeper understanding of the environment of studying and researching here. Trained (and self-trained) in a liberal education environment of the same quality as universities in Japan, many graduates from VJU have received full scholarships at prestigious universities in Japan, Taiwan, Korea and opportunities to work in Japan and multinational corporations. VJU Open Campus will be an opportunity for those interested in Vietnam Japan University to be consulted on career guidance and scholarship at VJU, talk directly with graduates and listen to their experiences in the process of chasing their dreams.